On Thursday 2nd October 2008 The Friends of the Dorothy Neal White Collection and the National Library jointly hosted an illustrated talk by Gavin Bishop, children’s writer and book illustrator. 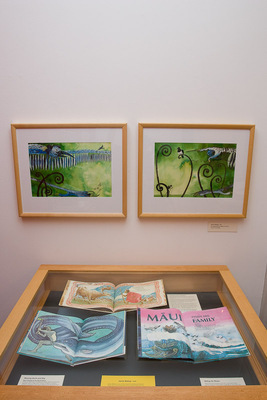 This book-based exhibition, drawn from the Dorothy Neal White and National Children’s Collections of the National Library of New Zealand, showcases the work of notable illustrators of fairy stories from the Victorian era to today. The exhibition also explores some folk tales from around the world, and the ‘flower fairy’ phenomenon. About 175 Friends and members of the public enjoyed some fine fare in the Library’s Main Foyer. Some took advantage of the opportunity to view the Grimm Stuff exhibition of illustrated versions of folk tales and fairy stories from the Dorothy Neal White and National Children’s Collections before moving to the Auditorium for Gavin’s presentation. Gavin kept the audience entranced with slides of his illustrations and entertaining and informative commentary on the reason he chooses to illustrate both New Zealand and overseas traditional tales and his sources of inspiration. His presentation was followed by many questions and great acclamation, proving that Gavin is not only an accomplished author and illustrator but also a gifted speaker who can adapt his style to any audience from small children to adults. On Wednesday 26th November 2008 Julia Marshall talked to a meeting of the Friends about creating and running Gecko Press. Julia’s background in publishing and children’s literature included working in the publishing industry in Sweden for 12 years and with Bridget Williams Books for two years. Julia also completed Kate de Goldi’s course for writing for children. During her OE, Julia had enjoyed European children’s books and looked for them in English translations. She – and the audience – were astounded to discover that only 1% of children’s books published in England had originally appeared in another language. Upon her return to New Zealand Julia decided to eschew the safe options and make use of the experience she had gained overseas. She decided to translate and publish award-winning or notable European picture books in New Zealand – and thus in 2005 Gecko Press was born to “publish curiously good books from around the world. … We choose books excellent in story, illustration and design, with a strong ‘heart factor’.” (from the Gecko Press catalogue). Julia showed images from several of the 27 books currently forming the Gecko Press list. The Gecko Press books are all eye-catching and beautifully produced and audience members were grateful recipients of copies of the new Gecko Press catalogue and a Donkeys greeting card. Far Left: The book that inspired the establishment of Gecko Press. The world, of course, includes New Zealand, so while most of the books originate overseas, Julia has so far published four books by New Zealanders. It was a remarkable achievement to win the New Zealand Post Book of the Year Award with the first of her “New Zealand” books, Joy Cowley and Gavin Bishop’s Snake and Lizard. 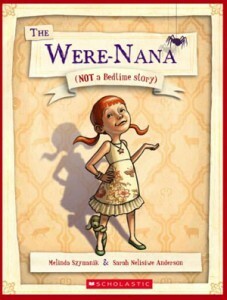 The event was attended by 31 people, a number of whom were “new faces”, responding to the advertising of the event on the Wellington Children’s Book Association web site. Many at the event expressed their enjoyment to Julia in person, and I have received several comments since re-iterating what a great evening it was. 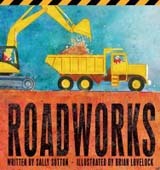 You can find out more about Julia, Gecko Press and its list at http://www.geckopress.co.nz . Four members of the Friends Committee attended Consensus and conflict in junior fiction, an illustrated talk by Caroline Campbell. Many of you will recall Caroline’s presentation, complete with side-saddle and crop, after she was awarded the Friends of the Dorothy Neal White Collection Scholarship (2003-2004). Caroline is both a lecturer at the Institute of Communication and Design at Massey University in Wellington and an illustrator of children’s books. This talk was based on her research into Australasian junior fiction published 1890-1920. 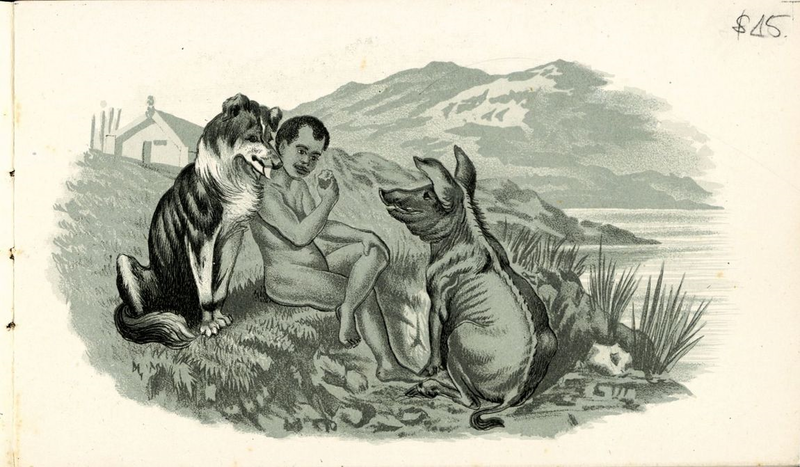 Caroline explored the idea that images of New Zealand Māori and Australian Aborigine in the picture books and illustrated novels that were created for Australasian-born audiences offer an alternative to ‘dying race’ and passive mythologies. Caroline used four illustrations from books in the Dorothy Neal White Collection as examples including these two from Tiki’s trip to town by James Duigan with sketches by G.S. Wanganui, N.Z. : A.D. Willis, [1893?]. Tiki naked on the marae with dog and pig. Eleanor Spence had wanted to write for children, about Australia, from the time she was a girl. 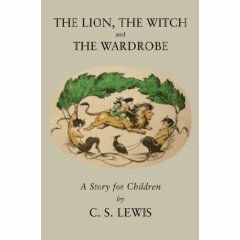 Yet it was not until she was a children’s librarian in Coventry that the wish became a need. It was in England that she discovered just how few Australian children’s books existed. Spence went on to make an outstanding contribution to Australian children’s literature, in a pioneering career spanning five decades and entertaining generations of young people. Her work helped shape the direction of children’s literature in Australia. Eleanor Spence, who has died at 79, was born Eleanor Rachel Kelly, the youngest of the three children of Eleanor and William Kelly, who owned an orange orchard at Erina on the NSW Central Coast. Her mother, a high school teacher in Edinburgh, had met her father in Scotland, where he was recovering from wounds suffered in World War I. They corresponded after his return and she eventually sailed to marry him. Spence went to a three-teacher primary school and books were as essential as furniture in her home. She began to write short stories and poems at about 10 years. She read these to her mother, who suggested that the stories be based in her own land, rather than the land of the books she was reading, inevitably Europe or America. Erina was a rural area before World War II. The Central Coast became for her a place halfway between reality and romance. She spent a lot of time gazing at morning skies, sunsets and evening stars. She played in the bush, cricket on the veranda on rainy days and rode her bike to swim at Terrigal or in Wamberal lagoon. She attended Gosford High, which had an excellent library and good English teachers. Winning a scholarship, she studied arts at Sydney University, living in a Country Women’s Association hostel in Kings Cross. She graduated in 1949. A year’s “rather unsatisfactory teaching” in a girls’ school was followed by two years as a librarian in in Canberra. Holidaying in Austinmer, she met John Spence; they married in 1952 and went to England, where he did postgraduate work in Rugby and she reached her turning point in Coventry. Back in Sydney in 1954, Spence began her first full-length story, Patterson’s Track, which Oxford University Press published in 1958. It featured a rural community such as she knew at Erina. In the 1950s Australian children were reading Blyton, Biggles and English school stories. In the 1960s Oxford published a list of Australian children’s authors, and Angus & Robertson appointed the first specialist children’s editor. Writers such as Hesba Brinsmead, Ivan Southall, Colin Thiele, Patricia Wrightson, Nan Chauncey, Joan Phipson and Spence emerged. Further stories by Spence alternated with the birth of her three children. 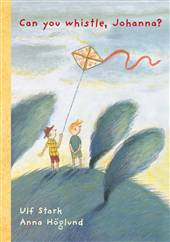 The Green Laurel, Children’s Book of the Year in 1964, was written at the busiest time, with children aged two to seven. Then she studied Australian history as background for her books. The earliest were about basically happy families, with difficulties rather than conflicts but without sentimentality. Yet they touched on social issues and carried an element of mystery, and the social issues component grew more important with time. 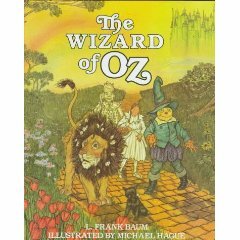 Her books became part of what was described as a “cultural and artistic renaissance” in Australian children’s literature. During the ’70s and ’80s Spence’s books were regularly published to critical acclaim and an enthusiastic readership. 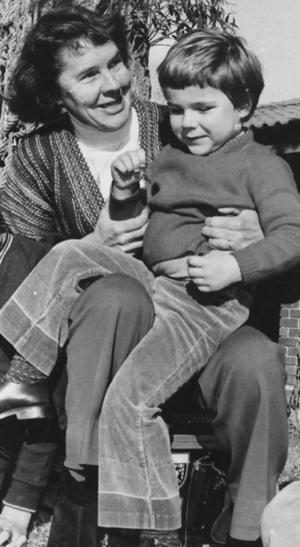 The October Child (1976) broke new ground in describing the challenging experience of a boy with autism. It won Spence another Australian Book of the Year Award, and in 1977 she was shortlisted for Britain’s Carnegie Medal. Subsequent books examined religious discrimination, adoption, homelessness, family life, relationships, bigotry and materialism. The Seventh Pebble (1980) won the NSW Premier’s Literary Award for its depiction of challenges facing an immigrant Irish family in rural Australia. She wrote historical novels, including Me and Jeshua, about Jesus’s cousin growing up in Nazareth. Spence wrote 21 books for children. Her last, Another Sparrow Singing, was published in 1992. Several have been translated into other languages and Braille. In the 1970s and 1980s she worked as a teacher’s aide and then taught at the Autistic School, Forestville; in 1978 she took a Churchill Fellowship to study care for autistic children overseas. The Spences lived in Turramurra until they divorced 20 years ago, when she moved back to the Central Coast. The Australia Council Literature Board awarded her an Emeritus Fellowship in 1998 and she became a member in the Order of Australia in 2006. Eleanor Spence is survived by her children, Alister, Nigel and Lisette, and their families, including five grandchildren. Tony Stephens Sydney Morning Herald October 17 2008. 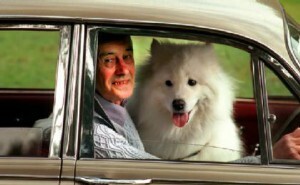 Southall, who passed away at the Wantirna palliative care hospice early yesterday after a short battle with cancer, won four Children’s Book of the Year Awards during the 1960s and 1970s. He received national and international acclaim for his books — including the British Library Association’s Carnegie Medal for Josh (1971). His Hills End was included in The New York Times list of books of the year in 1963. Children’s author John Marsden said Southall would be sadly missed. “I’d call him the last of that generation of great storytellers who reigned supreme in the 1950s and ’60s,” Marsden told The Sunday Age. “Some of his books haven’t dated all that well admittedly because he was quite class conscious when he wrote … but he was still just a terrific, natural writer with a great flair for storytelling. Marsden said Southall’s books were always strong on character and he had a real Australian quality to his stories. One of Southall’s most popular books, Fly West, was derived from his adult book They Shall Not Pass Unseen, a gripping account of his wartime service with RAAF No. 461 Squadron. It is regarded as one of the best Australian non-fiction books to come out of World War II. His daughter, Elizabeth Barber, who read some of her father’s own books to him in the hours before he died about 2am, said right to the end that despite difficulties with his cancer and early dementia, he spoke often of his wartime experiences. Southall was the pilot of a Sunderland flying boat based in Wales and was awarded the Distinguished Flying Cross for sinking a German submarine in 1944. Southall was born in Canterbury on June 8, 1921, and raised in Surrey Hills. Educated at Box Hill Grammar, he wrote from an early age and served an apprenticeship as a process engraver at an afternoon newspaper. After war service as a pilot, he stayed on in Britain and worked as an RAAF historian before returning to Australia and starting a career as a freelance writer for magazines. He mowed lawns to supplement his income. In 1981, Southall was awarded an Order of Australia for services to literature. In 1998, the State Library of Victoria staged a retrospective exhibition of his work, Ash Road to Ziggurat. Bea Turner, our 2008 Scholarship winner, also won a research scholarship to go to the University of Reading in late 2008. Congratulations, Bea! She reports that she is drafting an article for our next Notes-Books-Authors, looking at two of Mrs Molesworth’s novels – The Cuckoo Clock and The Tapestry Room. We hope to publish later this year. Life in the Library is somewhat hectic at present as we plan for the rebuilding project. This currently involves preparing the collections to move, including protective enclosures for fragile items, and clearing our workstations. This latter task has resulted in the discovery of treasures lurking in cupboards that have now been transferred into Library collections. One hundred and eighty people attended the 8 tours of the Grimm Stuff Exhibition last year. It was the first time I had curated an exhibition in the Gallery (rather than the regular displays in the DNW display case) and I thoroughly enjoyed selecting the items to display, working with the Gallery staff, writing the captions and conducting the tours. In early March I travelled to Greymouth to speak at the South Island Children’s Librarians Conference. After my presentation about the Dorothy Neal White and National Children’s Collections I also demonstrated the International Digital Children’s Library. After the presentation one of the delegates told me she thought I have the best job ever. I have to agree. It is 32 years since I first began to work with the NCC and even on the worst days, the collections still bring me joy. I usually curate the small displays from the children’s collections in the Ground Floor Reading Room myself, but Mary Skarrott – one of our cataloguers – has been the guest curator of the last, lovely display before we move. “Making magic in children’s literature: the ancestry of Harry Potter” has been on show since November and will be removed later this month. Mary says “The world of Harry Potter, created by J K Rowling in 1997, is a recent phenomenon, but stories like Harry’s, featuring wizards, witches and magic spells, have been popular throughout the history of children’s literature. Forming part of the fantasy genre, these are stories that can trace their roots as far back as the oral traditions as myth, legend, folklore and fairy tales.” Titles displayed are The beeman of Orn by Frank R Stockton, Charmed life by Diana Wynn Jones, The dark is rising by Susan Cooper, Groosham Grange by Anthony Horowitz, The haunting by Margaret Mahy, The Hobbit by J R R Tolkien, The lion, the witch and the wardrobe by C S Lewis, A wizard of Earthsea by Ursula Le Guin, The wizard of Oz by L Frank Baum and The worst witch by Jill Murphy. Friends will be heartened to know that both the Dorothy Neal White Collection and the National Children’s Collection will remain easily available during the National Library building redevelopment. Both collections will move location, but clients will be able to request titles from both of them from service points close to the current Library building. The NCC will also remain available for inter-library lending. The judging panel made special mention of Bubble Trouble by Margaret Mahy, illustrated by Polly Dunbar (Frances Lincoln Children’s Books). Margaret’s poem has been in print for many years and therefore not eligible for inclusion in the list. However the panel considers Bubble Trouble to be a treasure for New Zealand children. The judging panel also made special mention of Jack by Mike and Esther Fitzpatrick, illustrated by Bruce Madden (JacksBooks). For a self-published book, the design and production values are worthy of special mention. The Storylines Notable Books List was established in 2000 to reflect the wide-ranging achievements of New Zealand authors and illustrators. The Storylines Notable Books List allows for the inclusion of anthologies and works by New Zealand writers and illustrators published internationally. 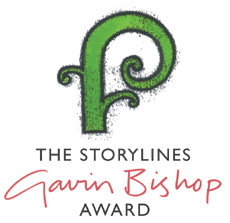 Aspiring illustrators now have the chance to kick-start their career and see their own work published with mentoring from a top picture book artist, following the establishment of the inaugural Storylines Gavin Bishop Award for Picture Book Illustration. This new award, sponsored by Random House New Zealand and the Storylines Children’s Literature Charitable Trust, aims to encourage the publication of new and exciting high-quality picture books from New Zealand illustrators. It also recognises the contribution Gavin Bishop has made to the writing and illustrating of children’s picture books and gives an emerging talent the opportunity to benefit from his expertise. In addition to a $1,500 monetary prize, the winner of the award will receive mentoring and support from celebrated children’s author and illustrator, Gavin Bishop, and may also receive an offer of publication by Random House New Zealand. ”The award could give a new – but not necessarily young – unpublished illustrator a great start in a career as a picture book artist,” says Gavin Bishop. ”There are many talented artists out there who may not have thought of delving into the medium of the picture book, but we hope that this award will give them the impetus to do so and enable us to uncover some great new talent,“ he says. “A picture book is not just a short story with pictures. In a good picture book the story and imagery work together, each complementing the other – they should be inseparable. “We are delighted to be part of this initiative,” adds Dr Libby Limbrick, chairperson of Storylines. “For young readers, the pictures are an integral part of their comprehensive exploration of the story. The quality of illustrations is therefore critical in literature written for them. Each entrant will be required to submit a storyboard, a page of rough drawings and two pieces of finished art to fit with text provided by Random House. The winner of the award will work with Gavin Bishop on a picture book which then would be considered for publication by Random House upon its completion. Entries must be received by 31 October 2009, with the presentation of the award made at the Storylines Margaret Mahy Day in March 2010. A useful resource for librarians, teachers, authors and illustrators, booksellers, publishers and others interested in children’s books, New Zealand Children’s Books in Print is a fully annotated catalogue of books currently in print for children from birth to secondary school, plus teacher/parent resource books, by New Zealand authors and illustrators (excluding text books or series readers). It includes fiction, poetry and non-fiction. Titles published both in New Zealand and overseas are included. Listings include full publication information, a short description and age recommendations. There are five indexes – by author, illustrator, photographer, translator and title. There is also a full list of New Zealand children’s book awards from their inception to now. Order your copy now. $20 per copy. Send your order by email, or post and your copy/copies will be sent to you with an invoice. Happy reading!